NNPC makes important announcement to Nigerians on its alleged recruitment – Royal Times of Nigeria. 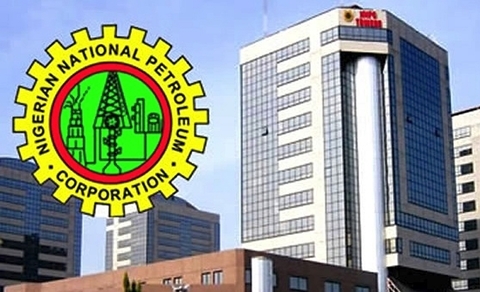 The Nigerian National Petroleum Corporation (NNPC) says the recruitment advertisement by the corporation currently trending on social media is false. In a statement in Abuja on Sunday, the NNPC spokesman, Ndu Ughamadu, said that the advertisement was intended to mislead innocent members of the public. According to him, the advertisement is set in NNPC’s corporate colour with its logo. He said that it invited candidates with background in Sciences, Engineering, Business/Finance, Social Sciences, Arts/Humanities as well as Medical/Health Sciences to apply. He said, “It gave required educational attainments of prospects to include: Master’s degree, Bachelor’s degree, Higher National Diploma (HND) and National Diploma. “The advertisement is phantom. The corporation calls on unsuspecting members of the public to be wary of the scam. “NNPC advises members of the public to disregard any announcement of recruitment or invitation to recruitment interview appearing in the social media. “The corporation is not carrying out any recruitment exercise now,”. Mr Ughamadu urged job seekers to be alert on the antics of scammers who deploy such communication strategies as text messages and vacancy announcements on social media platforms. He said that the scammers also use forged letters inviting job seekers for non-existing job interviews with a view to extorting money from them. The spokesman called on those that had already fallen victims to volunteer information to the law enforcement agencies for appropriate actions. Mr Ughamadu said, ”As an equal opportunities employer, NNPC will, as usual, advertise vacancies in the corporation through the national dailies,”.